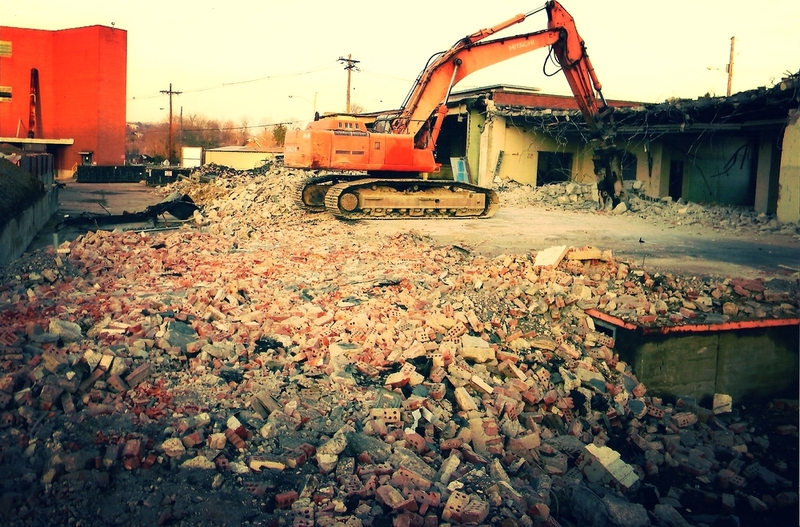 Total Demolition — Taff & Frye Co. Inc.
From start to finish, Taff and Frye works to provide the most efficient and thorough product. 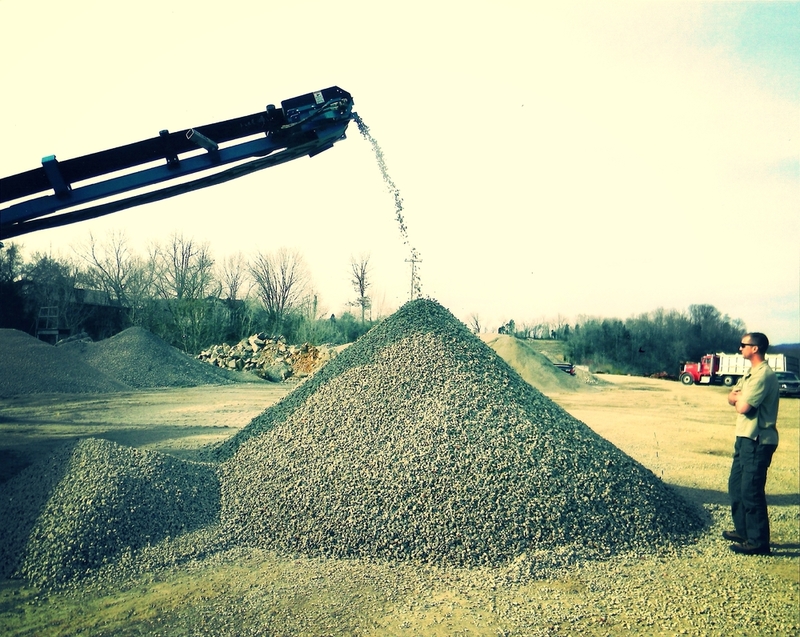 When we have total demolition projects, we are not only able to dispose of materials but we also aim to recycle as much as possible from each and every job site. We pride ourselves on innovation and problem solving which we have shown throughout the years with our use of machinery and unique strategies. 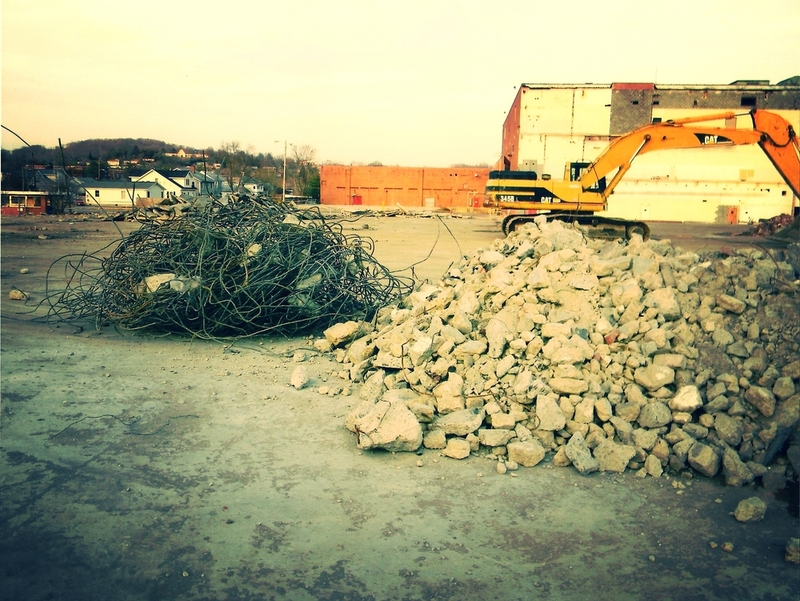 Below are images of the last stage of demolition from a Uhaul building in Johnson City, TN. where we are separating the metal from other debris which we will then remove entirely from the site leaving the area clear for the owner.